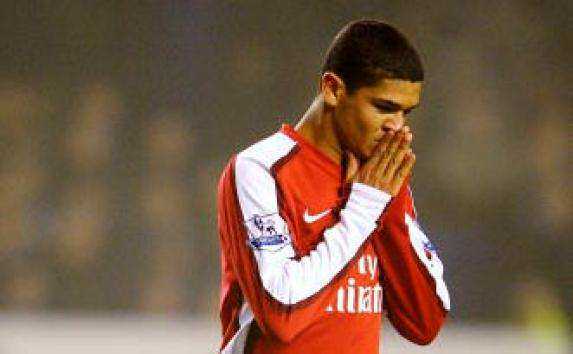 ← 4 Star Gunners Win|Denilson’s fate sealed? Posted on July 16, 2011, in News, Write Ups and tagged Arsenal, Barca, Denilson, Fabregas, Joel Campbell, Lukaku, Saprissa. Bookmark the permalink. 7 Comments. Billy Sharp??? You’re joking right??? Do we look like Leeds United in League One???? Lukaku and another unknown guy. Smh. Lukaku is ok.. Since he said he wanted tall players, let’s see him sign them. I want signatures not speculations . (1)The Wenger I know will never be unfazed by so called Barcelona’s chit-chat. (2) The departure of Denilson is a good ridiance of bad rubbish. (3) I think Eboue deserve some respect, becos he has always given his best right from his day one with Arsenal. The likes of Bendter, Diaby, Rosiscky & Aluminia have also tried, but their is need for them to move on. (4) We hope to see Joel Campbell in Arsenal Jersey, but I really doubt if that will come to realistic. (5) How sure is this writer that Wenger bid for Lukaka. If real, Wenger shouldn’t play pranks on the guy. @Karl I did say it was reported by the sun. You can open the link to read it. I hope its true. As for eboue he has my respect or rather he can have it when he’s far away from arsenal.